Source: World Economic Forum, prepared in collaboration with The Boston Consulting Group. “The financial crisis has, to put it mildly, seriously challenged our traditional approach to risk management. 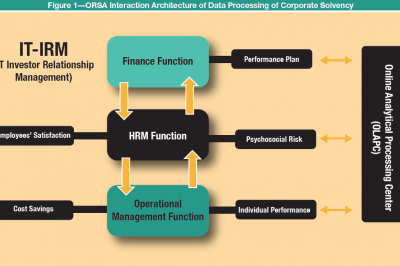 Consequently, a number of individuals and institutions have advanced ideas for improving not only the analytical framework, but also the status and relevance of risk management. This report, not only reacts to the most recent episode (although we indeed reference many relevant examples), it also attempts to address a deeper problem: the demonstrated inability of the global financial system to constructively mitigate and deal with financial crises. Over the past 40 years, the IMF has counted 88 banking crises. Hence, a fundamental question presents itself: Can the financial services industry benefit from experiences in other domains that, over time, have developed sound practices and successful patterns to deal with risk? We believe the answer to be an emphatic “yes”. This report explores both what these practices and patterns are, and how they can be applied to the financial services industry. Obviously, there are efforts already in progress to improve risk management in the financial services industry initiated by such bodies as the Financial Stability Board and the G20. Many of these efforts are highly relevant, such as the re-alignment of individual compensation with institutional and systemic goals. To avoid replication, our report will not dwell further on initiatives already underway. In contrast to other and perhaps more conventional studies, our report tries to shed new light by focussing on the lessons that the financial services industry can learn from other environments. We take an “outside-in” perspective, thereby differentiating this report from others that focus on improving risk management using traditional concepts, tools, and ideas that always have been and will continue to be inherent and very relevant to the financial sector. It is important to recognize that risk-taking is an integral part of many financial institutions’ business models. This is a crucial difference to some domains that we have examined. Also, we are well aware that outside domains may not provide ready guidance to all aspects of financial services (see Appendix). This report concentrates on stylized patterns and lessons that are potentially transferable to the financial sector while acknowledging that no domain is perfect at managing risk or indeed fully comparable to financial services. We further acknowledge that some of our commentary on the industry is by default overly generalized for reasons of brevity. We do realize that no two financial institutions are identical: relative performances during the crisis have borne that out. We ask readers to keep these caveats in mind if, at times, what we depict or suggest does not resonate with what they know from their own institution’s vantage point. Our goal is to provide food for thought rather than an off-the-shelf solution. Many of the outside practices we explore are somewhat distant from conventional thinking. We are aware that some of our ideas will be controversial. We therefore do not necessarily speak of them as “recommendations.” Instead, we hope that our report will inspire a fruitful discussion between those stakeholders that have an interest in a more resilient financial system: policy-makers and supra-national bodies at a global level, regulators and governments at a national level, and senior managers at a firm level. It is our intention to stimulate, provoke, and challenge – and by doing so to help transition the financial system to a more resilient and less failure-prone state.